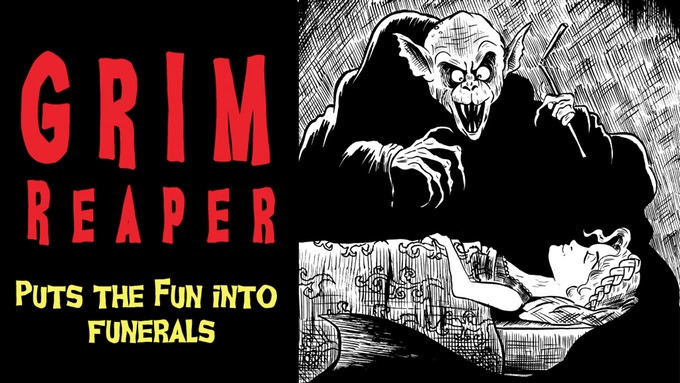 Want something evil and super Grim? Time for Tea and Death? Of course, you have! You are a Reaper and have all the time in the world to collect souls with your little Reaper friends. BUT what? Wait! The Grim Reaper is retiring to the Caribbean and is looking at his proteges to take over his Soul-gathering helm. Are you devious and heartless enough to steal the job from your colleagues? 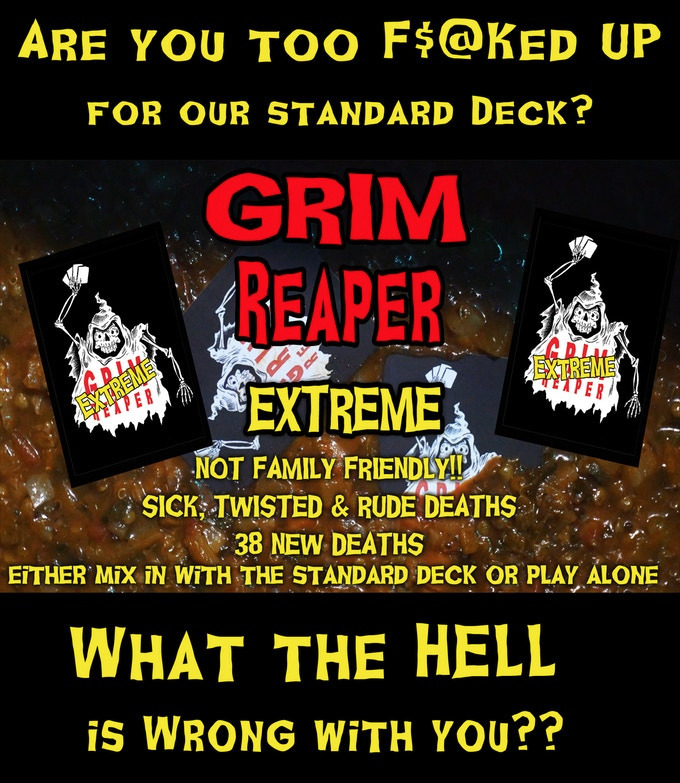 A fun, but morbid game for 2-5 players. 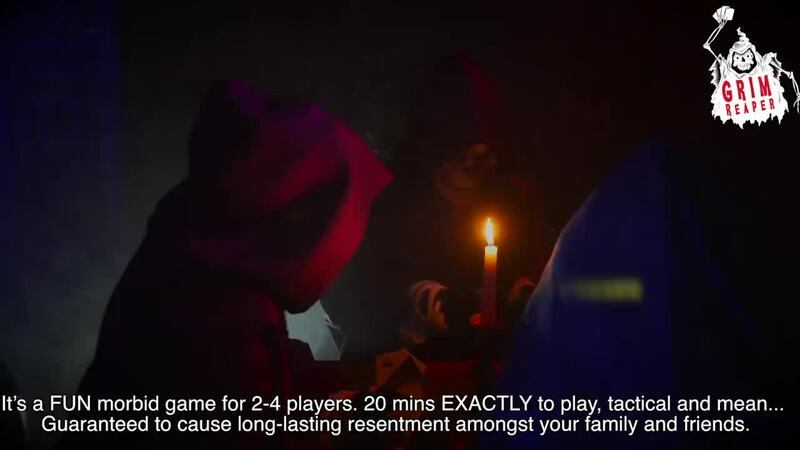 20 mins EXACTLY to play, tactical and mean... guaranteed to cause long-lasting resentment. You play a Reaper and have to collect the souls of the dead. To amuse themselves, points are awarded for the most “Interesting Deaths”. 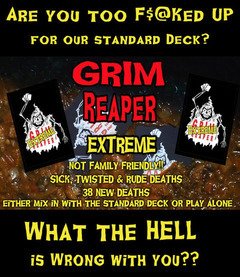 Included in the pack are action cards sent by the Grim Reaper himself to help train you to be as cold hearted as he.